The amount of drugs that individuals can fall into addiction to are quite numerous. A single drug may not be appealing to one person but could be a large problem for a different individual. 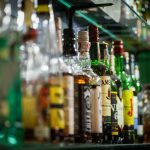 One substance that has been extremely prominent within the party scene, and primarily among younger individuals is Ecstasy. Ecstasy can go by a multitude of different street names, such as E, X, XTC, Molly, and several others. Or it may be called by the abbreviation of its chemical name, MDMA. 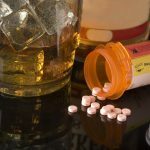 Whatever the case may be, this drug can bring about a multitude of different effects that people can find appealing, but it can also potentially lead to Ecstasy addiction. There are numerous short-term effects of Ecstasy. As mentioned above, some of these are considered appealing to users, but others are definitely negative. Yet another effect is suppression of several basic needs. For instance, it can suppress things like appetite, thirst, or sleep as a result of the stimulant effects that it has. This is viewed as beneficial by some, especially in the case of raves and music festivals that can go on for days. They will use the substance to enjoy the event more, as well as to take attention off of these physical needs. Of course, if an individual continues to use Ecstasy, it can also lead to a multitude of long-term issues. The longer that an individual continues to use, the more damage it can do to their body and mind. When an individual discontinues their use, some of these things may begin to improve down the road, but it can sometimes take quite a long time before they begin to get better. When an individual has been using Ecstasy for extended periods of time, they can begin to develop a tolerance. This means that they will have to use larger amounts of the drug to experience the same desired effects. As a person continues to use Ecstasy and their tolerance increases, it can eventually lead to the development of an Ecstasy addiction. The desire to obtain and use Ecstasy can become their main drive in life, causing them to neglect things that were once important, such as work, school or family. It is important to distinguish physical dependency from addiction. Addiction is typically considered a psychological issue, whereas dependency is purely physical. It is when the individual has continued to use Ecstasy so frequently that their body has come to expect it. The severity of a person’s withdrawal symptoms can depend on several factors, including their length, amount, and frequency of use. These withdrawal symptoms can be extremely uncomfortable, and potentially even dangerous to health in severe cases. It can often take detox and treatment for an individual to handle their dependency and addiction. Then, there is also the possibility of overdose. Simplistically explained, overdose is when an individual consumes so much of a substance that their body is unable to handle or process it. Overdose can be extremely dangerous, and even deadly in some cases. Some may feel that they would never overdose, but it can be easier than one might imagine. When at a rave or festival, a person may not realize how much they have been taking and end up consuming too much. Or those who have built a tolerance may end up taking such a large amount that they end up overdosing. An Ecstasy addiction or some other substance can be extremely despairing. An individual may feel like they will never be able to break the cycle of addiction, but this is untrue. Through comprehensive treatment, an individual will be able to understand their addiction and its underlying factors, as well as overcome it. There are many different treatment facilities and modalities that can help individuals to do this. New Beginnings is here to help find the perfect fit in a drug rehab facility for you or your loved one. We are familiar with the various centers and their offerings and can help by explaining the different options, as well as locating a center that best fits the needs and wants of whoever is struggling. Make the decision to overcome addiction and give us a call today.